Nail polish is one of the must-haves for trendy girls and fashionable women. It creates an eye-catching and more lady-like effect on those hands of yours. But if you are a very busy person who tends to easily ruin a newly applied nail polish quite often, then you should try this nail polish remover. Usual removers have a strong smell, some even leave residues of nail polish on your fingernails. To add, removing it one by one even takes time but thankfully, this slime is here to the rescue! The ingredients you will need are the following: nail polish remover, PVA glue, baking soda (not baking powder), contact lens solution, container and spoon. Follow the steps provided by the video below. 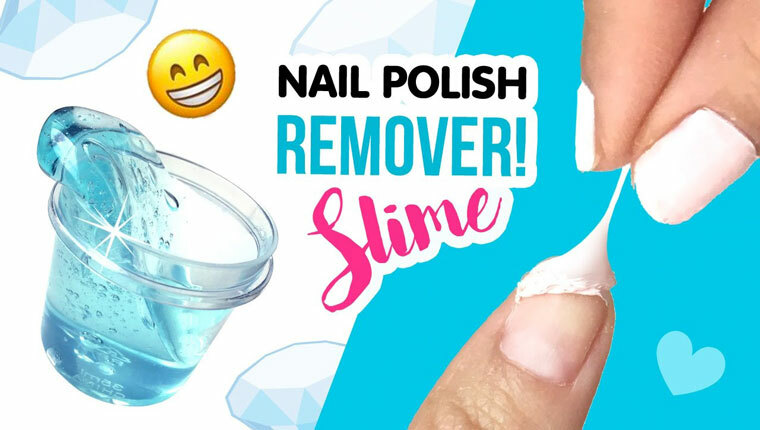 With this new nail polish remover, you can work while waiting for the miracle to happen because the slime isn’t gooey and it does stay in place. Around 10 to 15 minutes is the waiting time, sure long enough to finish other small tasks. Also, peeling it off is so much easier and leaves little to no remains of nail polish. Plus, you can design your own polish remover with glitters of different kinds. Cute!